If you are looking for a quick and yummy snack to share with a crowd, then this recipe is perfect for you! It’s perfect for parties or potlucks. I mean, come on, its got bacon, Cheddar cheese, a ton of butter and it’s incredibly easy to make. What’s not to love?! Seriously, this stuff will not be daintily, or prettily, or even politely pulled apart. It will be torn apart and devoured. Hence why so many people have called it ‘crack’ bread. One bite is one too many, and one more is never enough. There’s no better flavor combination on earth than cheddar, bacon, and ranch. Now, I give you this most popular of flavors, in a perfectly pull-able package! Let’s just pretend I gift-wrapped it and put a bow on it too. Ya know, for added effect and all. You’re welcome. Enjoy the rest of your life. 2. Grab a bread knife and slice from side to side in both directions, leaving about an inch of space between each slice. Make sure that you don’t cut all the way through the bottom of your bread. 3. 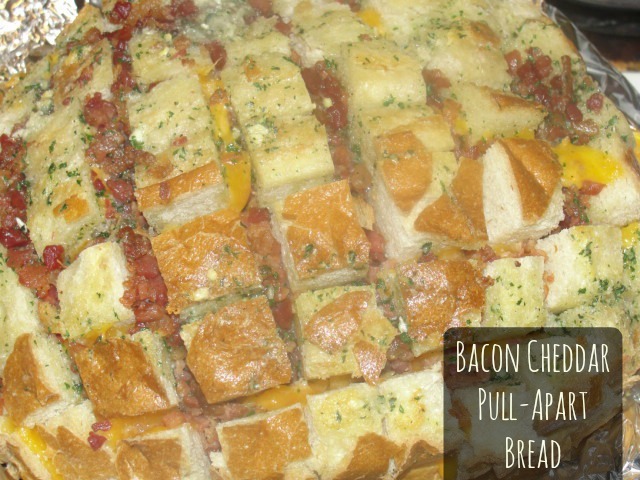 Stuff the cheese and diced bacon pieces between all the cuts in the bread. 4. Melt the butter, combine it with the ranch dressing mix and garlic powder. Drizzle it over your bread. 5. Wrap the loaf of bread in aluminum foil and cook for 20 minutes or until all your cheese is melted. Then, once your bread is out of the oven just do as the name suggests and pull it apart and eat it! Enjoy! Posted in Recipes and tagged appetizer, Bacon, bread, cheddar, party food, potluck, pull apart bread, ranch, sourdough, Sourdough bread. Bookmark the permalink. 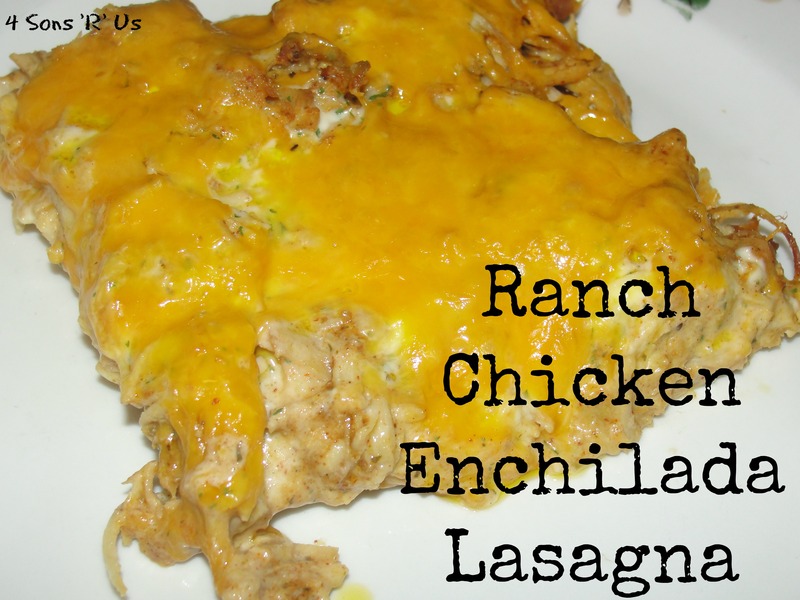 Posted in Recipes and tagged Chicken, dinner, easy, enchilada, lasagna, Mexican, ranch. Bookmark the permalink. I try to stock up on meat when it goes on sale, and lucky for me, pork chops go on sale often. When I’ve forgotten to plan ahead and am wracking my brain for something simple to make, I know I’ve always got some pork chops handy. I love being able to just pull them out, let them thaw, and know that whatever recipe I choose to use, it will be relatively quick and easy. Originally, my favorite way to fix pork chops had always been to bread them, fry them, and serve them with gravy and caramelized onions. However, these tender, juicy chops have now been dubbed the ‘best ever’ in our house, and in many other houses. Give them a try for yourself and see what all the fuss is about. Prepare a sheet pan by lining it with aluminum foil. In a shallow bowl, or plate, pour a layer of ranch dressing. In a separate bowl, combine bread crumbs, Italian dressing mix, Parmesan, and garlic powder. One at a time, dip a pork chop in the ranch dressing, turning to evenly coating both sides. Next, put the chop into the bread crumb mixture, coating well on both sides. Place coated chops onto the prepared pan. Bake in preheated oven for 45 minutes, or until the insides are no longer pink. 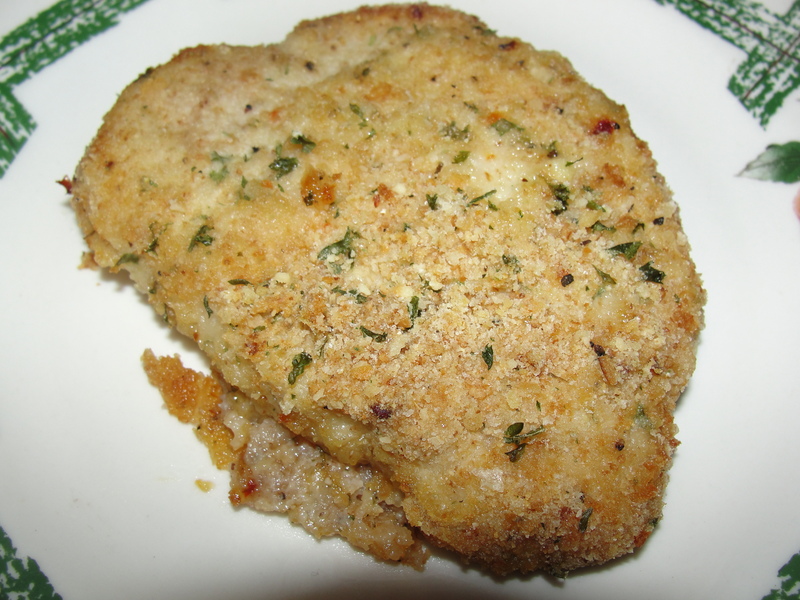 Posted in Uncategorized and tagged baked, breaded pork chops, crispy, dinner, easy dinner, food, Italian, pork chops, ranch. Bookmark the permalink.